A strong black woman, a social worker and a devoted member of a loving family, but above all else, Rolanda Pyle is a woman of God. Her first collection of poetry, Finally, is an intensely personal rumination on the way her indomitable faith has guided her path in life. Pyle writes passionately about the challenges she has faced — her painful struggles with relationships, weight loss and sickness — and the divine light, which inspired her to overcome them. 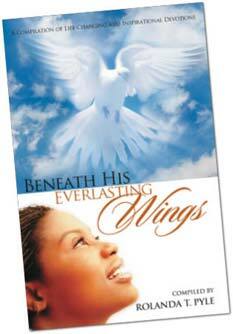 Her verse sings of survival, celebrating God's love and the power of perseverance. April is National Poets Month - to celebrate, we are pleased to present Rolanda's featured poem - "To The Poets"
You, poets who inspired me, I have kept you in my sight. Share this poem with family and friends. Please join us here for another featured poem. Stay in touch, join our mailing list. You'll receive news of new books, publications, book signings and other events and special discounts. Your address will never be shared and you can unsubscribe at any time. 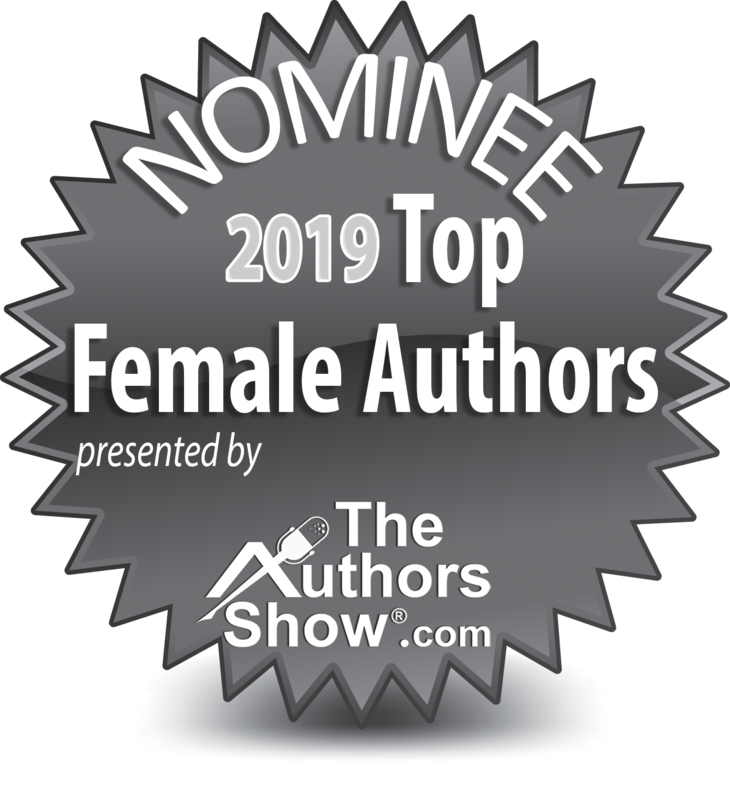 "...a collection of inspirational devotions, poems and short stories that make you reflect on your life and the struggles you might have endured. Reading this was like a breath of fresh air... It was a great, power-packed read." THIS DEVOTIONAL MINISTERS to those going through difficult situations by providing devotional tools to help readers cope with life challenges. It features a host of authors on diverse topics that affect us in our everyday walk in life. Some authors share personal stories and testimonies. "As I read each testimony I shed so many tears..."
BE INSPIRED! BE UPLIFTED! Read Rolanda T. Pyle's poem, "The Power of Social Work," on the website of The New Social Worker, the social work careers magazine. ROLANDA SHARES A HEARTWARMING true life story of how God turned her childhood disappointments into blessings beyond her imagination on the blog, The Power of a Thankful Heart. ROLANDA PYLE IS COAUTHOR of the chapter, "Grandparents as Family Caregivers," appearing in the new edition of The Encyclopedia of Elder Care. Sample and order it now. GUMBO FOR THE SOUL PUBLICATIONS' fourth anthology is available now. 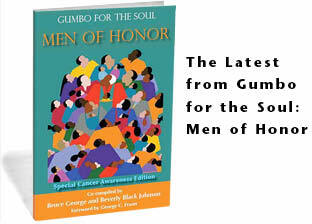 Gumbo for the Soul: Men of Honor (Special Cancer Awareness Edition) encompasses a focus on humanitarianism, honor and the health concerns affecting men with a particular focus on prostate cancer. This anthology reflects stories woven into our legacy, carried by time and preserved with love. Rolanda Pyle is featured in the new anthology with her memoir, "Life with Father." Order Men of Honor in a Kindle edition on Amazon. 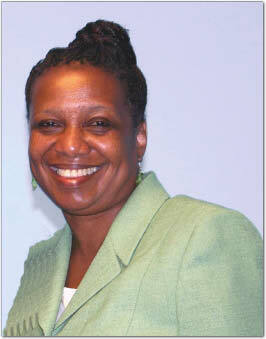 ROLANDA T. PYLE is a licensed social worker and consultant. She is currently the Part-time Community Outreach Specialist at Sunnyside Community Services CARE NYC, where she was previously Assistant Director. She was a consultant with the Assigned Counsel Project, and before that, Associate Director of the Brookdale Foundation's Relatives as Parents Program (RAPP) at the Brookdale Foundation. 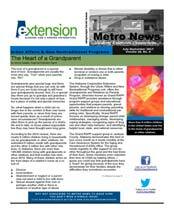 She was also the Director of the New York City Department for the Aging's Grandparent Resource Center for ten years. She has received numerous awards for her work with grandparents raising grandchildren, including the 2004 Sloan Public Service Award and HBO's 2004 Beah Richards Spirit Award. New York's Daily News named her one of the "100 Women Who Shape Our City" in April 2004. From Rolanda: "I am honored that my public school highlighted me as alumni of the month in their April 2019 newsletter. I loved this public school!" NOW AVAILABLE! All three of Rolanda's books are now available at Good News Nook Bookstore at Calvary Baptist Church, 10 Martin Luther King Avenue, Morristown, NJ on Sundays! ROLANDA JUST RECEIVED received word that her two poems, "Asthma" and "What’s in a Name" are a part of a new publication, LEAP Voices—Stories of Challenges, Resilience and Hope. This publication is a part of the LEAP (Longitudinal Educational Experience Advancing Patient Partnerships) at Weill Cornell Medicine. All contributions were donated by LEAP patient-teachers. This publication will be shared with patients throughout the Weill Cornell hospital LEAP program and elsewhere. ROLANDA T. PYLE received the Community Playmaker of the Game Award from NY Liberty and Walmart at Madison Square Garden before a Liberty game. She was recognized on court for her community service volunteer work with seniors. ROLANDA T. PYLE'S poem, "A Tribute to Grandparents Raising Grandchildren"(this month's poem) was featured on page 26 in the Harlem Community Newspaper in the Vol. 21, No. 36, September 8, 2016 edition. This poem was also published in the July-September 2017 issue of Metro News on page 6. 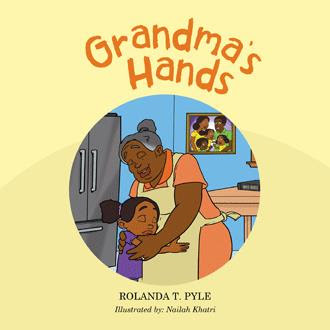 MAMA LEFT ME is a new book by Carol Ingram Moore that addresses a subject close to Rolanda's heart: children raised by their grandparents. She's quoted in the book. ROLANDA'S POPULAR POEM "The Power of Social Work" was reprinted on the website of The New Social Worker. Other poems on social work were posted throughout the month of March. Read free digital versions of The New Social Worker online. 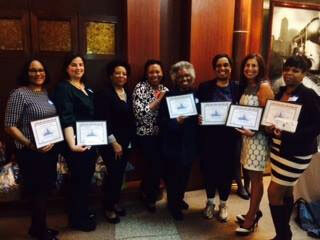 ROLANDA T. PYLE WAS ONE of these generous New Yorkers honored by Citymeals-On-Wheels for ten or more years of service in a beautiful celebration in Grand Central Station on April 20, 2016. From left to right: Kathy James, Vivienne Papadatos, Sheila Clay (Citymeals Volunteer Coordinator), Vivienne O’Neill (Citymeals Director of Volunteer Programs), Candy Martinez, Rolanda Pyle, Felice Seltzer, and Janelyne Devoe.